But I still have that corrupted view on one single PC (see the attachment), all others have the "normal" interface. 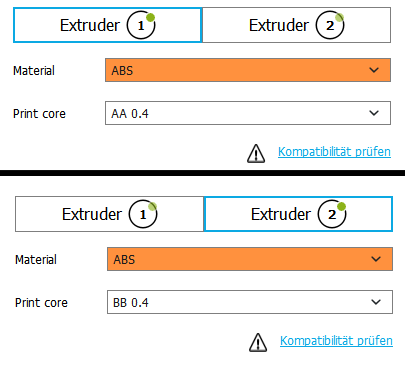 When printing, CURA then does not apply, for example, a raft, as would be customary for PC (Polycarbonate), I think other settings are affected badly as well. Generally unsatisfactory. 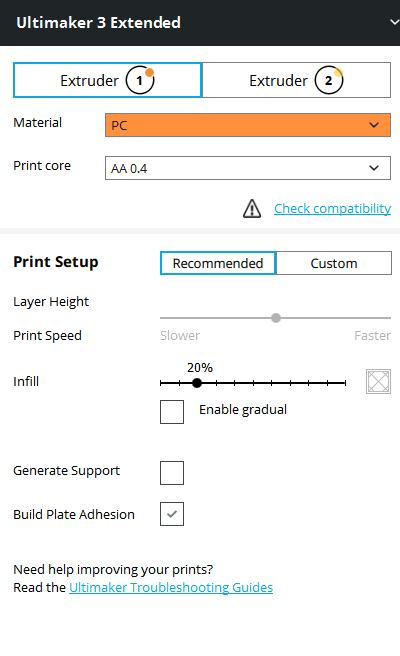 What is most annoying is that no Print Speed / Layer Height setting is possible (except by switching to "Custom" settings). Now I copied the User/AppDate/Local and Roaming folder content from one of the PCs with a working Cura profile to the affected PC. Now it works againg. But - how is this going to be solved If there would be no working Cura installation to copy the cfg from?